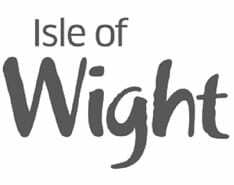 There are plenty of transport links on the Isle of Wight, so whether you prefer to get around by public transport, by car or on foot, we’ve got you covered. Southern Vectis operate the Island’s bus service – All buses are low floor and easy access and have spaces available for wheelchair users. In the absence of national guidance, they can only carry mobility scooters below a certain size. NB: Buses operate from nearby all the ferries except: Fishbourne terminal – 10-15min walk to the nearest bus stop. Buses run a regular service to all major towns. They also run open-top bus tours during the summer season. Most of the buses and coaches can accommodate wheelchairs and approved mobility scooters, although it remains the driver’s decision as to whether there is adequate room on board. If they are unable to provide appropriate transport to allow you to get in and off safely, they will arrange a taxi. All buses are low floor and easy access. Drivers can be asked to provide assistance where necessary. They can only carry mobility scooters below a certain size on the easy-access buses. Arrival at Ryde Pier from Wightlink’s passenger catamaran – A train meets most ferries and will transport you down the pier to the bus station, or further on to Sandown and Shanklin. You can book to get help for your train journey, please provide 24 hours’ notice. Help can be provided by accompanying you to and from your train, providing a ramp on and off the train or carrying up to three items of luggage. Please note that St Johns Road Station, Ryde, only has stairs to and from the platform to Shanklin. Carries cars and foot passengers. No information available on accessibility. 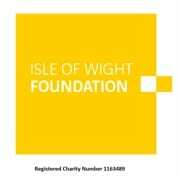 You can expect to pay £2 for two hours or £3.40 for four hours and £4.50 for six hours in most Isle of Wight Council car parks (most of the seafront car parks are Council owned). A whole day costs £6.60.